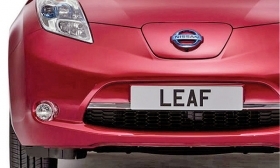 Through July, Nissan sold 11,703 Leafs in the United States -- a 230 percent increase over the 3,543 units sold during the seven months last year. TRAVERSE CITY, Mich. -- Nissan is making plans to begin building more electric Leafs as dealers clamor for more of the once slow-selling car. The automaker's North American factory chief -- who has been visiting with retailers in recent days -- cautions that production will move ahead in small and careful steps. But Nissan is already taking measures to increase its output of electric motors from its engine factory in Decherd, Tenn., says Bill Krueger, Nissan Americas vice chairman and senior vice president for manufacturing, purchasing production engineering and supply chain management. Decherd is now staffing up to launch a third work shift that will give Nissan a third more electric motors starting this fall. That will ease up a critical pinch-point for Leaf output in the United States. Krueger, speaking today on the sidelines of the 2013 CAR Management Briefing Seminars here, said the company also will decide next month whether to add a second shift to its production of lithium-ion battery modules for the car in Smyrna, Tenn. But Nissan decision-makers are waiting to see if August retail sales for the car are holding firm before moving ahead and signaling to suppliers that it is time to ramp up. "Sales needs to give us the green light, and we'll decide in September," Krueger says. "We want to know is this a spurt, or is this long-term? He said the equipment is already installed to produce significantly more batteries and Leafs. "But we don't want to ramp up and then ramp back down," he said. "We want to see that it's sustainable. You don't want to end up with a bunch of cars out there that you can't sell." Nissan is the only North American automaker that produces an all-electric car, its battery module and the electric motor that powers it. The battery is an unusual piece of automotive hardware, with each battery taking a full month to "bake" from chemicals into a module that can absorb and store energy.